☐ Who is involved, who are the buying influences and how do they view us? ☐ Who are we actually negotiating with, what do we know about them? ☐ What are the key negotiation points for the buyer? ☐ Do we know the competition and their proposed solutions? ☐ Have we a record of discussions and objections raised to date? What does this say about the customer’s “hot buttons” and concerns? 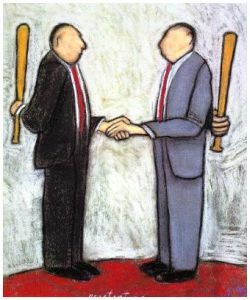 ☐ What tactics do you expect the customer to use during the negotiation? ☐ Do we know their BATNA? ☐ Do we have a clear statement of how we solve their business issue? ☐ Can we articulate our value and differentiators over the competition? ☐ Do we have the proof (to reduce risk) to show that we can do this? ☐ Have we defined our Optimum and Fallback positions? ☐ Besides price, what can we negotiate on? ☐ Have we had an opportunity to fully present our value proposition? 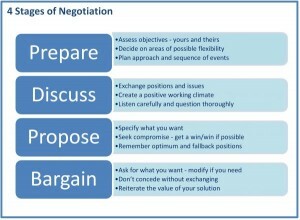 ☐ What do the BATNAs mean to out negotiation strategy? ☐ Do we understand where the power and leverage is for each side? ☐ Have we developed our questioning strategy? ☐ What do we do if we cannot reach an agreement? ☐ Prepare thoroughly, they will! 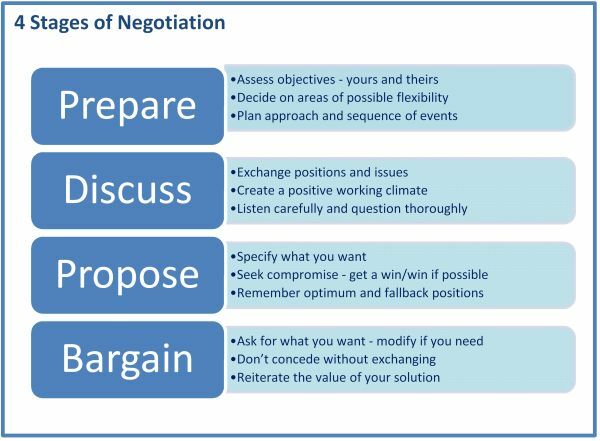 Good Negotiating – please comment if you have any feedback – note that you can download a printable pdf version of the guide together with more information regarding negotiation from the instant sales guides tab. This entry was written by John, posted on June 2, 2010 at 5:50 pm, filed under Negotiation, Sales Guides and tagged BATNA, customer commitment, sales competencies, sales person, value proposition. Bookmark the permalink. Follow any comments here with the RSS feed for this post. Post a comment or leave a trackback: Trackback URL. « Instant Sales Guides – The Launch!